This intro to police surveillance technologies was produced from ongoing research through FOIA documents acquired by Lucy Parsons Labs as well as some public data. We'll be updating this intro as we learn more through our ongoing investigations. Email the author if you would like to submit other data. Video monitoring is the most well-known part of Chicago's surveillance infrastructure, consisting of a network of well over 50,000 cameras (including cameras on the CTA). This system is operated by Chicago's Office of Emergency Management (OEMC). The locations of the subset of cameras operated by CPD and DHS are known, as they are not intended to be covert. A map of these "blue light" cameras - so called due to the flashing bright blue light on some of the older cameras operated by CPD also known as "Police Observation Devices" or PODs - in Operation Virtual Shield (OVS) is below. These locations were acquired through FOIA by the author. However, the locations of the cameras connected into the Private Sector Camera Initiative - wherein private cameras from Chicago businesses and sister agencies allow their feeds to be accessed by the city - are not publically known. The author attempted to FOIA for their locations, but was denied due to "privacy reasons". Other Chicago agencies with a significant number of cameras in the network include Chicago Public Schools (CPS), Chicago Transit Authority (CTA), Chicago Housing Authority (CHA), Midway and O'Hare airports, and Chicago Park District. The cameras purchased by the city - ignoring the significant maintenance costs - cost from $12,000 to $29,000, depending on the version of the camera. Given that the city has thousands of cameras, this puts the cost of the camera system at least at tens of millions of taxpayer dollars. Older cameras are clearly denoted with the logo of the Chicago Police Department along with a bright blue light. Newer cameras are nondescript and blend into the environment. The cameras in Operation Virtual Shield have pan and zoom capability, and are able to zoom in close enough to read a license plate or to capture a still shot for facial recognition purposes. Police claim a reduction in crime in the vicinity of the cameras. However, no experimental study has been performed that controls for the many other confounding factors that are present - including other CPD programs intended to reduce crime. Agencies like the CTA claim that hundreds of arrests have resulted at least in part from their cameras. 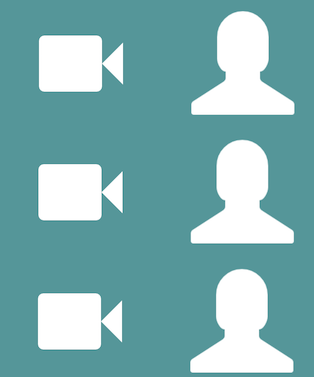 There are numerous privacy implications associated with a pervasive video monitoring system. While the cameras capture people moving in public spaces, Chicago residents' reasonable expectation of privacy may not extend to cameras capturing their attendance at political meetings, religious events, or medical appointments. Video surveillance as widespread as in Chicago may constitute a real threat to freedom of expression and association. In addition, there need to be clear privacy policies governing the collection and storage of footage from the OEMC video surveillance system. There should not be indefinite storage of data captured from cameras unless related to an ongoing investigation. 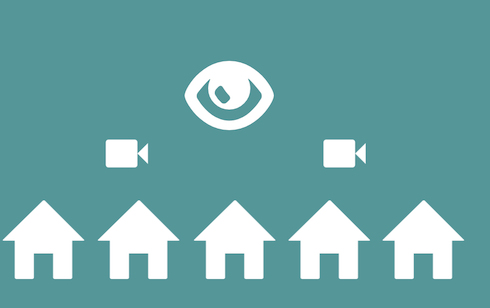 An important accountability issue concerns the detection and prevention of abuse by camera operators that may use the cameras to monitor and track Chicago residents without a legitimate public safety or law enforcement purpose. It is currently unknown how often this occurs. Automatic License Plate Recognition, or ALPR, take images of vehicles in public spaces, analyze the text on their license plates, and record the timestamp and position of the car (based on GPS coordinates). Unknown since the ALPRs are mobile. 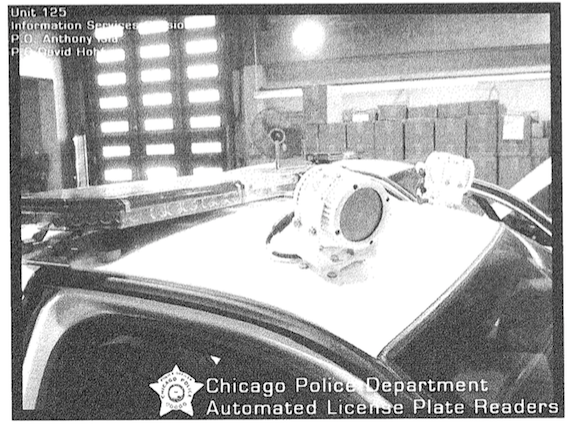 Documents acquired by the author in 2015 show that there were at least 35 vehicles in the Chicago Police Department that had ALPRs mounted to them. Chicago can also use their video surveillance network to scan license plates. CPD has spent more than $500,000 on ALPR technologies in recent years. Chicago Police Department purchases Motorola / PAGIS automated license plate readers. These devices track the GPS location a license plate was seen and the timestamp. The scanned plates are then checked against a Hot List that consist of plates of interest. According to FOIA documents acquired by the author, there might be as many as 300,000 license plates stored in the Hot List at any one time in Chicago - meaning that approximately 1 in 10 Chicagoans has their vehicle on the Hot List. Documents from the Chicago Police Department acquired by the author show that even when the Department had only 4 ALPRs, they were able to scan over 1 million plates, resulting in hundreds of recovered vehicles, among other successes. Even a incomplete record of where an individual's car has been provides detailed information about the activities of that person. 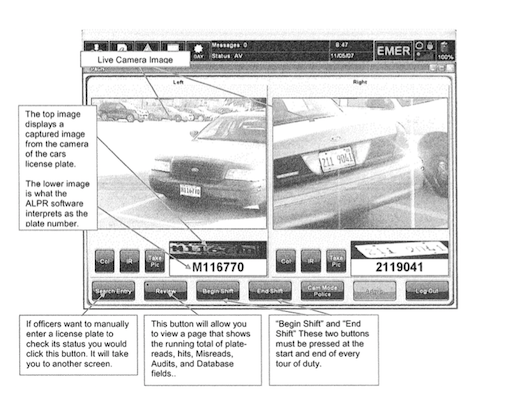 In Oakland, over 4.6 million license plate scans from ALPR systems were released in a FOIA request, providing detailed information about Oakland residents' activities - including activities protected by the First amendment. 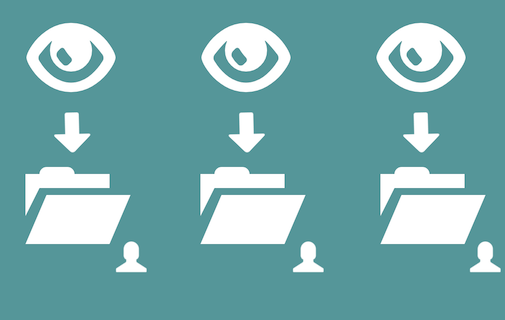 Concerns over data retention policies and data sharing also should be addressed and publically disclosed. The criteria that lands a given plate on the Hot List should be publically disclosed. Check out the EFF's excellent FAQ on ALPR technology for more information. At the state level in Illinois, there are currently several bills that have been introduced (but not yet passed) to deal with this problem. Biometrics is the use of physical markers like facial features, fingerprints, or gait for identification purposes. All cameras in Chicago's network may have still shots captured from them to use for identification purposes. FOIA documents indicate that at least $63,000 have been spent on mobile fingerprint scanners. Other reporting indicates upwards of $5.4 million has been spend on facial recognition technology, enabling frames captured from a city camera to be compared with an existing database. Facial recognition systems can be incredibly sophisticated, but likely what occurs in Chicago is faces captured from video are compared with shots taken upon arrest. At least one arrest is claimed to have resulted from the use of facial recognition technology in Chicago, though the usefulness of facial recognition in even this one arrest is in dispute. The secure storage of biometric data is increasingly important as biometrics such as fingerprints are used for authentication purposes. In Illinois we have the Biometric Information Privacy Act (BIPA) which regulates the collection of biometric data, by required consent as well as limits on how long the data can be stored. There are currently lawsuits against companies like Facebook and Shutterfly for collecing biometric information for commercial purposes in violation of this act. Unfortunately, law enforcement may not be regulated by BIPA. 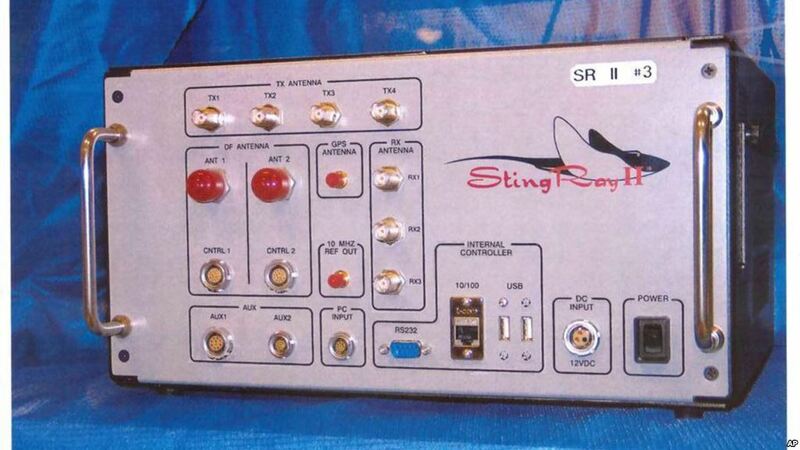 Cell site simulators or IMSI catchers, also often referred to as Stingrays after the device sold by Harris Corporation, are controversial cellphone surveillance devices. They operate by masquerading as a cellphone tower, forcing any phones in the vicinity to connect to them. The locations of these devices are unknown as they are mobile and some are as small as to be easily concealed. However there do exists some efforts to detect them. Over the last ten years, over $700,000 has been spent on cell tracking equipment including Harris Corporations's Stingray, KingFish, and AmberJack and Digital Receiver Technologies' DRTBox. The details of cell site simulator purchases is known from work by Freddy Martinez, who first revealed that Chicago police had purchased Stingray devices from Harris corporation and Ali Winston, who revealed that cell site simulators had been first purchased by Chicago police as far back as 2005. Depending on the model and upgrades available on the specific cell site simulator, these devices can be used to get the International Mobile Subscriber Identities (IMSI) of those near the cell site simulator, can be used to interfere with the cellphone's ability to make calls and send texts (denial of service), and in some cases can enable the interception of the content of messages and calls. 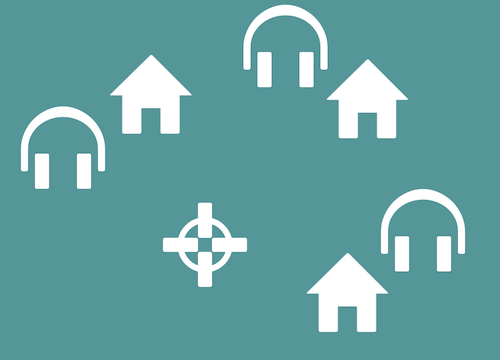 Read more at the EFF's excellent FAQ about Cell Site Simulators. Unknown. It is also unclear how often these devices have been used in the city, though there are reports that they have been used at political protests. There are serious legal questions surrounding cell site simulators. The manner in which these devices operate involves the indiscriminate data collection from phones of innocent bystanders. Recently, the Department of Homeland Security and the Department of Justice have both published new policies on the use of these devices at the federal level, requiring warrants for their use. In Chicago, these devices have been used with Pen Register/Trap and Trace orders but not warrants. These devices are also potentially in violation of state level protection from local surveillance regulation. Shotspotter is an audio surveillance system. It consists of sensors - microphones - distributed over a neighborhood in order to determine the location of a gunshot. This sensor data can be used to distinguish gunshots from similar sounds such as fireworks and cars backfiring. Distributed through the Englewood, Harrison, Chicago Lawn and Grand Crossing neighborhoods with approximately 45-60 sensors. 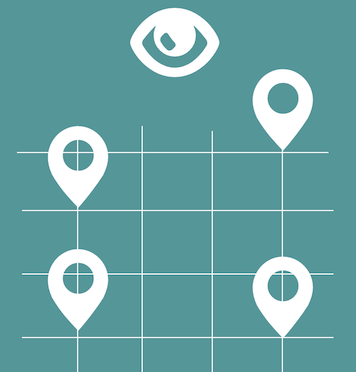 Shotspotter costs approximately "$100,000 for every 1.5 square miles" of coverage. This Shotspotter deployment in Chicago was funded primarily through asset forfeiture. In addition to the cost of the devices themselves, there are additional costs due to police responding to false alarms from fireworks and cars backfiring. These devices are used for the detection of gunshots. They operate by distributing sensors over a broad area, and using the sound wave and time of arrival at each sensor for detecting gunshots and localizing the position of the gunshot. Efficacy of the devices in Chicago is unknown. There are several reports of issues concerning false positives reported by the Shotspotter system. However, it does appear that gun crime is significantly underreported in many US cities. Shotspotter is marketing its technology for several new markets, including in schools for school shooting early detection and response. However, the increasing use of this technology in areas where people will be speaking raises concerns with how the data is handled and stored, as the Shotspotter microphones may incidentally pick up a nearby conversation. Manual and automated monitoring of speech on social media such as Twitter and Instagram. Manual monitoring of social media is close to free, however automated tools are being used more often. One such tool is Geofeedia - in use by the Chicago Police Department - and it costs around $1,450 a month for five users. From documents acquired by the author, police departments spend $12,000-22,000 for an initial license and setup, depending on the number of users. Users of these tools are able to look at geotagged posts over a range of social media services including Twitter and Instagram. 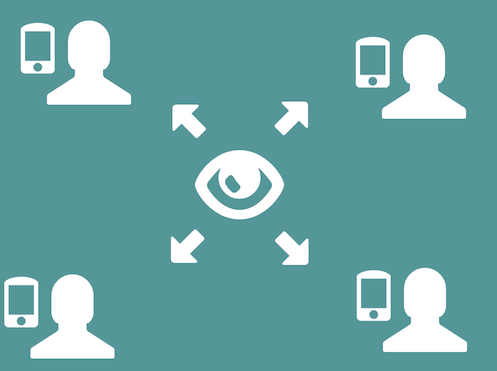 In addition to geographic based monitoring, keyword based monitoring is also performed. Even though social media monitoring is relatively new, there have already been very serious implications for those targeted, including in one case in New York City where a 17-year old faced terrorism charges and had his home searched for his use of gun emojis on Twitter. In addition, the use of social media monitoring tools to closely surveil those involved in political action should be concerning due to its chilling effect on 1st amendment protected activities. Recent documents acquired by Freddy Martinez describe how Black Lives Matter protestors were monitored by Chicago police. Chicago residents have legitimate questions surrounding the use of these technologies: Are appropriate policies and procedures in place to ensure these systems are responsibly used? To what degree are these systems necessary or even useful? Do the benefits of these systems justify the tens of millions of taxpayer dollars being spent on them? Do members of the public want this level of surveillance to be used? In the past, police surveillance of public spaces was constrained by resources such as availability of police officers. However, surveillance technology is producing a significant expansion of police capabilities. Police were historically unable to follow every resident with a police car, but with new surveillance technologies they may be able to effectively accomplish the same goal albeit in a less disruptive manner. Members of the public need to recognize the far-reaching implications of giving over this level of power to law enforcement. The transition from police officers having a restricted ability to follow and monitor suspicious people to having pervasive surveillance capabilities is occurring in our city today. We must have public knowledge of surveillance capabilities, policies and procedures in order to have the critical debate about this infrastructure as well as to campaign for transparency and accountability. Follow Lucy Parsons Labs on Twitter for more. By Jennifer Helsby (@redshiftzero) for Lucy Parsons Labs. Last updated Tuesday, January 19th, 2016.